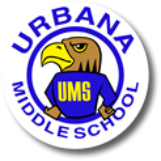 They have just upgraded the Wi-Fi at Urbana Middle School. To take advantage of this new capability a grant has been available to our school to purchase new technology. Your input regarding which new devices you feel would most benefit your education and your experience in class is needed in making the final decision in the actual purchase. You will evaluate a device selection for performance, quality and other specifics to make sure it is really "up to the job" of improving your education!